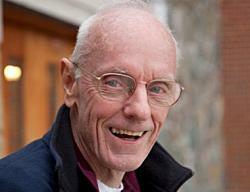 Jojo Peter: A Tribute from a Former Teacher | Where's Fran? Jojo in the hospital recovering from his accident. As Jojo tells it in his recently published book, Finding My Way: Tales of a Micronesian Childhood, he received a letter from Xavier inviting him back to finish his high school education there. Sure, he was in a wheelchair. But don’t worry, we’ll adjust to make things work. There would be students and teachers to care for him… wooden ramps to get him into the classrooms… a shower facility to accommodate him… and his own room in a faculty house on the campus. The school made the adjustments as promised, but Jojo himself had to make so many more. He knew all too well that he was not going to get his diploma without working for it like everyone else. Jojo graduated from Xavier in 1984, surely one of the school’s proudest moments. Off he went to the University of Guam for college. Why stop now? If he could make it through high school with his disability, why not college? While earning his BA degree, he distinguished himself as a campus radio personality and popular disc jockey. Jojo’s graduation from the University of Guam. I was able to celebrate with him as I was given an honorary doctorate at that time. That was just the beginning. 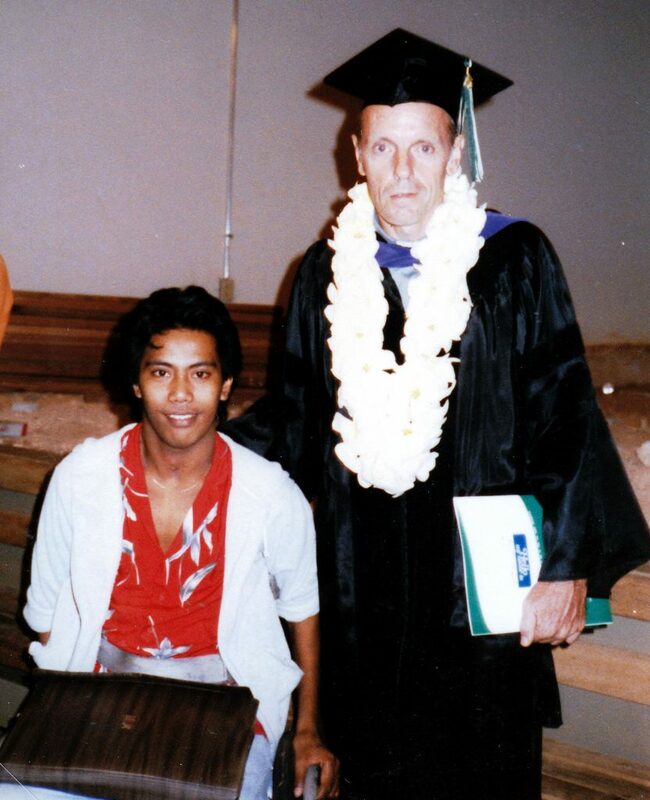 Jojo moved on to Hawaii where he earned a double masters and, much later, a doctorate in Special Education. But he always felt that he was called to do something for his own people. So back to Chuuk he went to spend 15 years in higher education there, at first teaching and then as head of the COM-FSM state campus. Jojo left Chuuk reluctantly, with a sense that there was so much that needed to be done there to improve educational standards. But there was much that could be done in Hawaii as well. 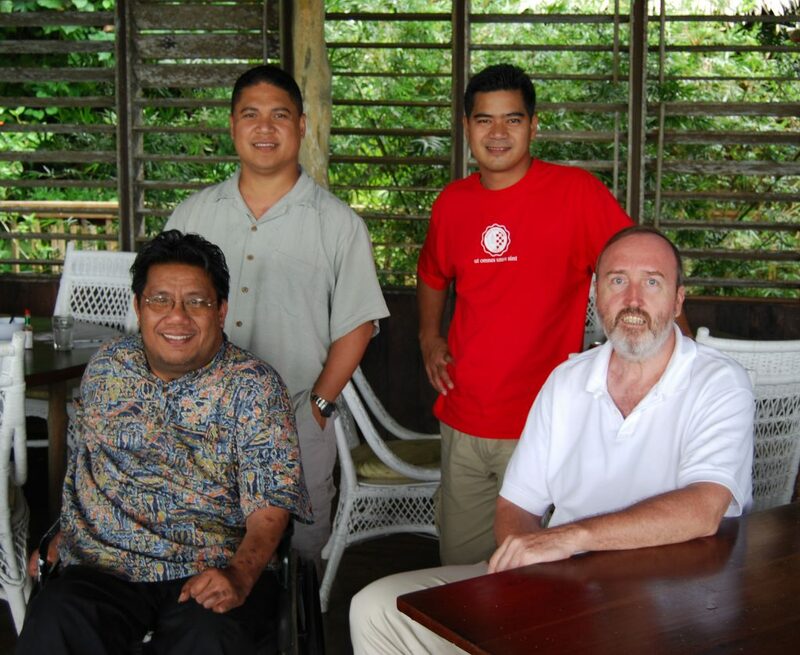 Even as he was finishing his doctoral work, he gained a reputation as a strong advocate for Micronesians in Hawaii. 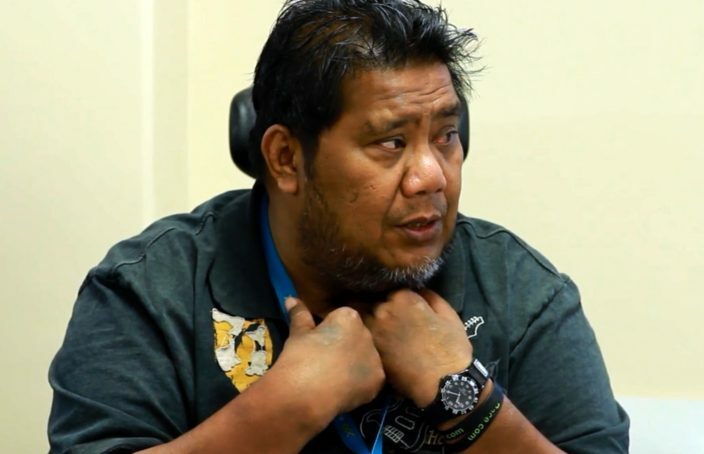 He became a spokesman for the people who were discounted and picked on… fittingly enough, given his own physical condition and the limitations he had to accept for most of his life. Jojo sometimes used to muse on how different his life would have been if, after his year of therapy, he had bowed to his family’s wishes and moved into the old house on Ettal, with his relatives caring for him for the rest of his life. But, thankfully, it didn’t happen. He ended up reversing roles–taking care of so many of his people in ways that none of us could possibly have imagined. His life was full of surprises. Who would have thought that the lively freshman would be wheelchair-bound for the rest of his life! But then again, who would have thought that a prisoner of his wheelchair would touch the lives of so many, his own people and others! A life filled with surprises and triumphs was Jojo’s gift to us. Not even a devastating fall and a broken back could destroy the spirit or dampen the desires of someone like him. Up to the time he left us, on April 8, 2019, he was on a crusade, chasing dreams. Just a few weeks earlier, I met him in Chuuk where he was looking for work, hoping to find a job in which he could help his people. He left frustrated that he could not find the position that would allow him to provide some assistance for the struggling education system in his home state. Discouraged perhaps, but with the same ready smile and warm personality that he always showed. That’s just who Jojo was. 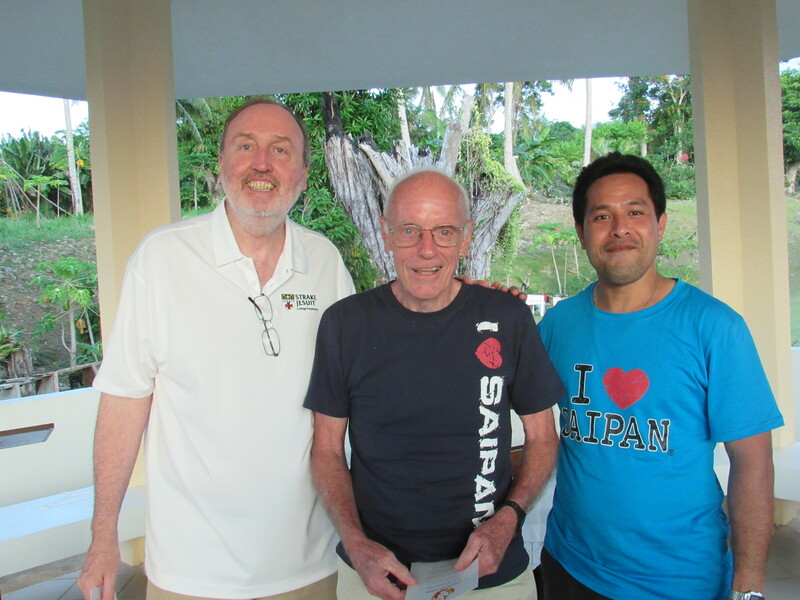 Jojo at the Village Hotel in Pohnpei, where he delivered a talk on “Leadership from a Sitting Position” to participants of the Executive Leadership Development Program. 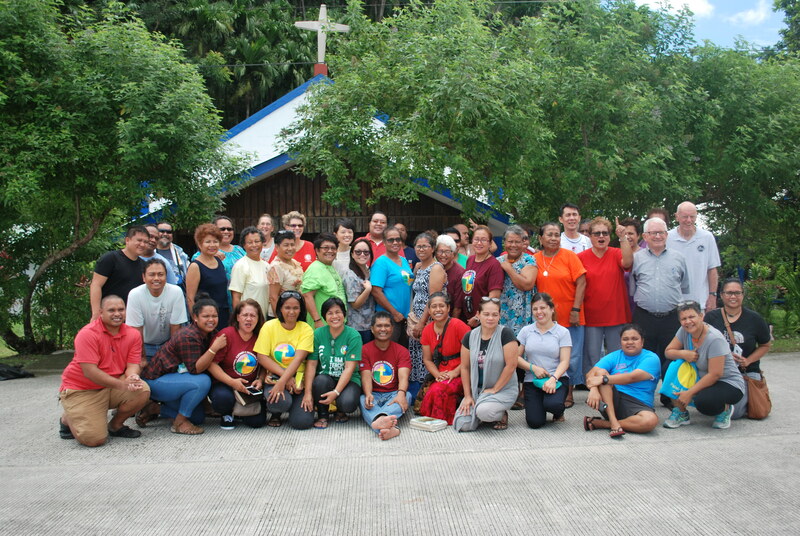 With him are (from back left) Carl Apis, Ivan Alafonso Blanco, and Fr. Jim Croghan, SJ.